With the Rocky Mountain ATV/MC AMA Amateur National Motocross Championship quickly approaching, we asked regular contributors Jason Thomas and Kyle Chisholm to recount their most memorable times at the Ranch. You can check out more stories from the men and women who raced Loretta Lynn's in our feature Loretta Lynn Graduates. Got any good Loretta's stories? Jason Thomas: My favorite Loretta's year was 1995. For those who were there, they remember the torrential rains that hit mid-week (possibly hurricane remnants?). The track was flooded and the entire set of first motos was an epic mud bog. I was never great in the mud, and I was even worse back in the amateur days. That storm really derailed my aspirations, with a DNF in my first moto and a 17th in the first moto of my second class. I had put so much work in that summer for a breakout performance—to be riding around in the back yet again was devastating. See, my Loretta's experiences had never gone well. I was a mid-pack rider on minibikes and I broke my arm in the first turn of my last year of 80 14-15. That 1994 year, I should have been top ten or so, which would have been a big step forward. Alas, it was not to be that year, so I had all of my hopes set on this wet and miserable week of August 1995. I had taken a big step forward in 1995, too. I was battling with the best riders in the country... Nick Wey, Robbie Horton, Mark Burkhart, Danny Smith, Jiri Dostal, Shae Bentley, Ricky Carmichael, etc. I knew I was ready to jump into the top five with that crew, but in the mud, I just didn't stand a chance. As the rain drops fell, so did my chances and all of my enthusiasm. Luckily for me, MX Sports decided to stop the madness and halt the program until the track resembled something like a motocross race. It was the first time they had decided to cut the program down to two motos, but I truly believe it was the right solution to a very soggy problem. For a full day and a half, the MX Sports crew worked the track, draining water and saving the week. Big Dave Coombs was relentless on the Tennessee mud, and somehow, the track came back to life. When it was finally time to go racing again, I was a new man. All of that expectation was realized as I holeshotted both of my final motos and ended up fourth and fifth behind a gaggle of future factory riders. I didn't win a title or even get close, really, but it was finally validation that I could make it happen on amateur racing's biggest stage. 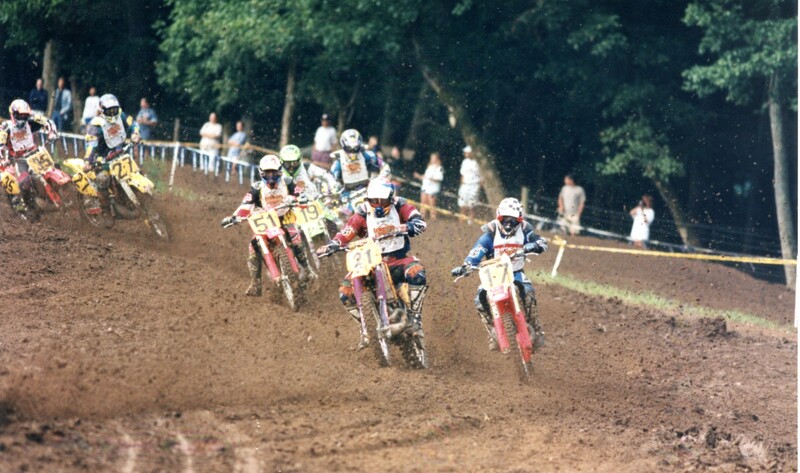 I would go back to Loretta's and compete one more time the following year in 1996, finishing second. 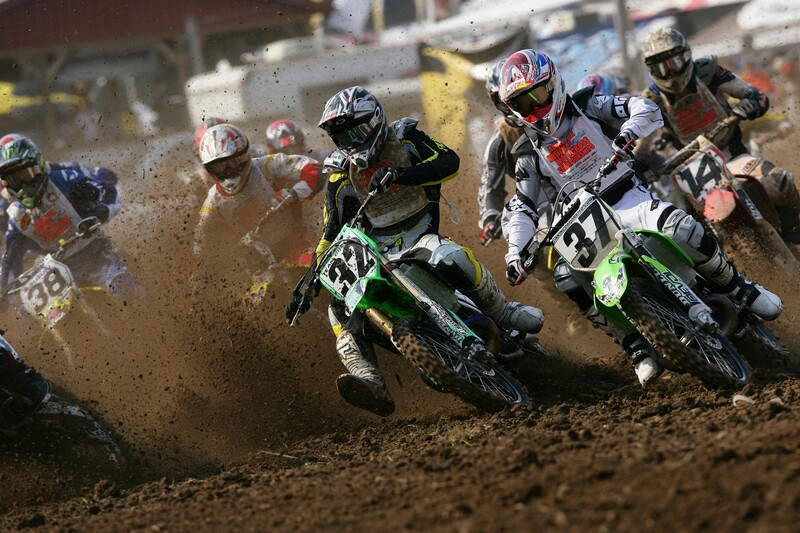 I never could lock up that elusive Loretta Lynn's championship, but the Vet classes look awful tempting these days! Kyle Chisholm: I have a lot of Loretta’s stories! I’ve raced there every year from my first year in 1996 until my last in 2006. But one that is pretty wild and sticks out to me happened my last year in 2006. So buckle up and stay with me because there’s a lot to it and it can be confusing. Let me explain my racing situation in 2006. I had planned to turn full-time pro in 2005 but a couple bad injuries took me out for most of that year, so I stayed back as an amateur. For 2006, I signed a deal with Team Green that only required me to do Loretta’s and a couple other amateur races, but I also signed a deal with the Canadian Factory Kawasaki team for 2006 to contest the four-round East Coast MX2 championship events. To make it more exciting, I also decided to race some U.S. Nationals during the weeks that were off from Canada or amateur races and Loretta’s qualifiers because I was really itching to be a pro and get a good ride in the U.S. So, to recap, I raced Canadian Nationals, amateur nationals, and some pro U.S. Nationals. And yes, that was all legal. So it's the 2006 Loretta’s and I’m looking to wrap up my amateur career with a couple wins. As you know, Loretta’s always ends on a Saturday after a long week of racing, but the problem for me was the Saturday it ended, I had to be up in Canada for the final round of the championship that I was leading. So the nice folks at MX Sports scheduled the classes I was racing at Loretta’s early in the moto order so that I would be finished Friday and be able to catch a flight Friday night up to Canada. Yeah, I’m crazy, and still am. So the week was going somewhat to plan. I had a 1-1 in 450 Pro and 3-2 in 250 Pro, but only needed to win the last moto to get that overall. On Friday, I’m pumped and ready to get these wins and catch my flight out and go win the Canadian championship too. Awesome week, right!? Well, on the parade lap of the 450 pro moto, I hear my bike making a weird noise. I cut back to the starting line to tell my dad and he says there’s nothing we can do now, so just do what you can. I take off with not the best start, but I quickly work my way past everyone (Jeff Emig included) and into the lead while praying for my bike to stay together. Well, about halfway through, she let go on me. I was devastated. I did one of the only things I wish I could have back: I threw my bike down and stormed off the track, leaving my bike (don’t tell Matthes). Looking back, I learned how that looked and wish I could have it back. Everyone there knew and saw I should’ve went 1-1-1 but my bike broke. I wanted that win so bad, but I still shouldn’t have done that in front of so many sponsors. Hey, I’m very passionate and work hard, so forgive me. But still, I shouldn’t have done that. Learn from that mistake, kids. I still have the 250 Pro moto to win, though, right? Well, right after that 450 moto, it started raining and lightning so bad that motos were canceled for the rest of the day. So what did that mean for me? It meant I had to skip my last moto at Loretta’s, and of my amateur career, so I could catch my flight to Canada. Yep, a great week went to poop in a matter of a couple hours! It was a pretty wild week of my life, and really, a wild year racing with amateurs, Canada, and U.S. Nationals. But I learned a ton and had so much fun racing my dirt bike all over the place.